PRICED TO MOVE $800 below NADA Retail!, FUEL EFFICIENT 27 MPG Hwy/23 MPG City! Audi Certified. Brilliant Black exterior and Black interior, Premium trim. Leather Seats, Power Liftgate, Rear Air, All Wheel Drive, Alloy Wheels, Turbo. CLICK ME! Leather Seats, Power Liftgate, Rear Air Audi Premium with Brilliant Black exterior and Black interior features a 4 Cylinder Engine with 252 HP at 5000 RPM*. Rear Spoiler, MP3 Player, All Wheel Drive, Aluminum Wheels, Keyless Entry, Privacy Glass, Remote Trunk Release. 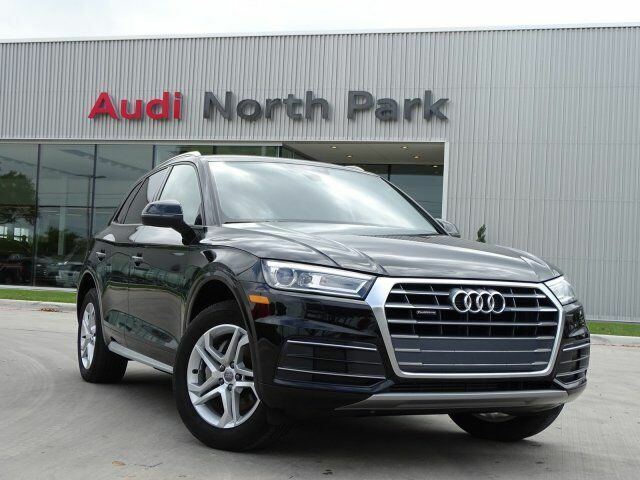 "The Q5 has a great balance of performance and drivability. Its seven-speed, dual-clutch automatic shifts quick and smoothly, and it feels well-tuned for the engine. And because of its relative compact size, it's easy to squeeze into small parking spots." -Edmunds.com. This Q5 is priced $800 below NADA Retail.